Anusara yoga instructors Rebecca Snowball (left) and Chrissy Graham will co-teach yoga during a unique health and wellness retreat February 27-28 at the newly renovated Stillheart Institute in Woodside. 2. Here is the Press Release I just wrote up about her upcoming yoga retreat in Woodside end of February. 3. I'm experimenting a bit, and trying out "tweet release" to see what happens. 4. Will keep you all posted! The weekend retreat takes place at the Stillheart Institute (http://www.stillheart.net) in Woodside, CA, which features 26 sleeping rooms, a “Great Room” with large fireplace, a fully-equipped kitchen, a large dining room, an indoor swimming pool and hot tub, a large studio for yoga and intuitive art, and massage rooms and steam rooms, as well as two saunas, and 16 forested acres with extensive hiking trails. 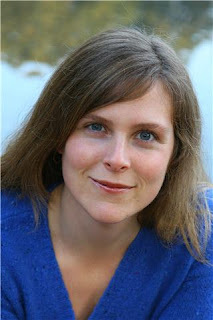 Rebecca is a native of Dover, England, and immigrated to Mountain View, California with her parents, where she gew up. 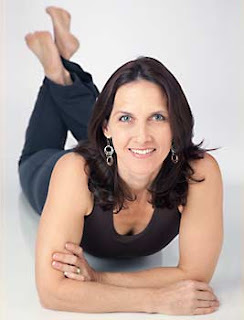 Now a certified yoga instructor, she began practicing yoga in 1995. Like many students new to yoga, she held the common misconception that yoga was simply stretching and relaxation, and couldn’t imagine sitting through a slow moving class when she was used to running, aerobics, and weight lifting. It only took one class for her to see the light, and she soon discovered a centered calm and an increased connection to herself. In 2000, she created Yoga Soul, her thriving business. She currently teaches group, private and corporate classes, and enjoys blending yoga, dance, and live music in special events and workshops. She specializes in proper alignment and “flow” classes that link one pose to the next through breathing. Chrissy Graham is also a Certified Anusara Instructor. Her goal in starting was to heal her body, and to find a higher path of fulfillment and enjoyment in life. Chrissy studied directly with John Friend, Anusara Yoga's creator. Chrissy teaches classes, workshops, and mini immersions throughout the Bay area, and brings a dynamic, and supportive energy to her classes. Both Chrissy and Rebecca are instructors at Devi Yoga in Menlo Park, and Avalon in Palo Alto. The weekend includes two yoga classes, lunch and dinner on Saturday, continental breakfast on Sunday, and indoor pool, hot tub, hiking, and rest time. Overnight rooming is available for double and triple rooms, ($290 and $250), with day passes available that include yoga with lunch ($125), and lunch and dinner ($145). For more information and to register, visit: http://www.yogasoul.com/event-Stillheart.html.